Stephen Henderson was brought up in an artistic family, taking inspiration from his father, the photographer and pop artist Nigel Henderson. His aesthetic approach was also informed by the work of sculptor Guy Taplin. 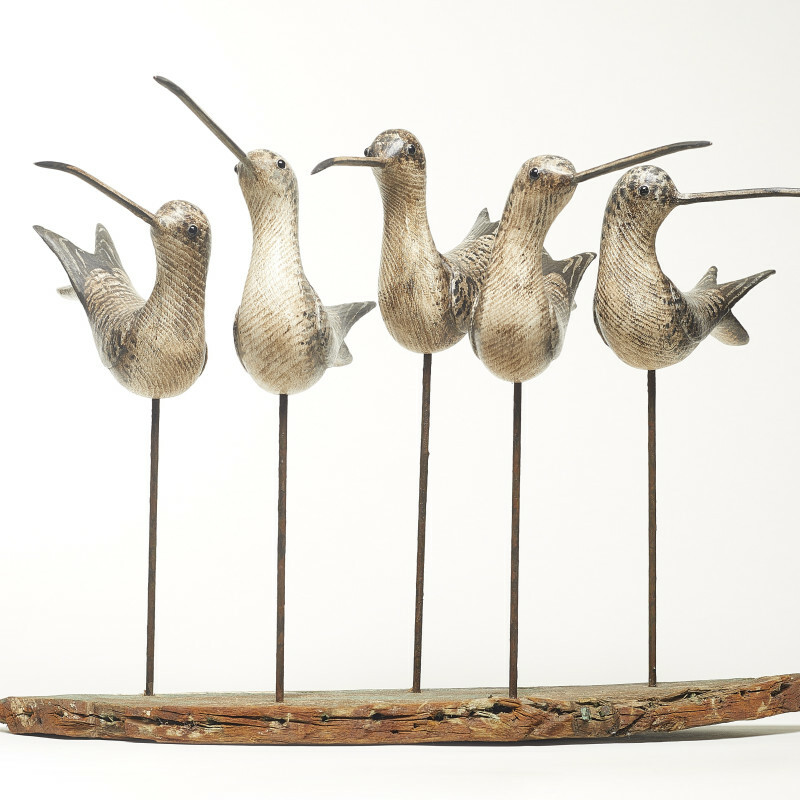 Henderson's subject matter, though, comes from the wildlife, predominantly birds and fish, of the Essex coastal marshes, where he grew up and still lives today. Found driftwood and other treasures such as wire or pieces of metal are incorporated into the sculptures, giving them a material bond with the habitat of the creatures they represent.